The Divi Theme is already a feature-packed WordPress Theme, but sometimes you need to turn to plugins to get an effect or functionality not included in the default theme. The good news is that over the past couple of years (since Divi Booster was released) the number of 3rd party developers developing plugins specifically for Divi has grown considerably. The great news is that many of these developers have released free Divi plugins into the community. Below are a few of the best free plugins that are available to download today and use in your Divi website. Some require email signup but they are all $0. So check out what’s available and see if one of these plugins could be useful in your next Divi project. 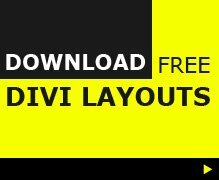 If you still need more from Divi you can check out the Divi plugins directory which lists 100’s of free and premium plugins for Divi. As part of your Elegant Themes membership, you also get access to the Bloom and Monarch plugins, which are not Divi specific plugins but work great together as they are developed in house at Elegant Themes. You can also find a number of Divi plugins in the official WordPress plugin repository and I have written a post on the best free Divi plugins on WordPress.org which will show you 16 plugins based on how useful they may be and if they have been updated within the past ~6 months. 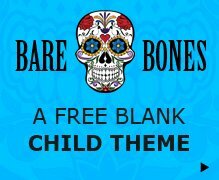 If you like freebies you may well like to check out some free Divi child Themes or Free Divi Layouts. The Jerry’s Easy Demo Import plugin is a free plugin from Monterey Premier which allows you to “Export your Divi website as a Layout Kit Plugin or Child Theme.”. The WooCommerce List View For Divi Theme is a free plugin from Divi Kingdom which allows you to “bring the classic blog list style into your store. The plugin changes the default WooCommerce grid view of Shop, Categories & Tags to a simple blog list style.”. The Blog Article Card plugin is a free plugin from Elegant Themes which “completely transforms your Blog Grid Module with a single click!”. The Content Visibility for Divi Builderplugin is a free plugin from AoD Technologies LLC which “allows Sections and Modules to be displayed/hidden based on the outcome of a PHP boolean expression”. The Divi Advanced Text Module is a free plugin from Sean Barton which “takes the standard Text module that comes with Divi and adds some more options.”. The PayPal for Divi plugin is a free plugin from Angell EYE which “adds a PayPal Button module into the Divi page builder tool making it quick and easy to add PayPal Buy Now and Donate buttons to any WordPress page or post built with Divi”. The Divi Tweaker plugin is a free (name your price) plugin from Divi Web Design which will ” make your Divi fly high without coding. Speed optimizing, page transitions and more. This is currently in Beta”. The Divi Styling Add-On for Gravity Formsplugin is a free plugin from Divi Space which ” brings the beauty of Divi to the Power & Logic of Gravity Forms”. The Divi back to top plugin is a free plugin from Elegant Themes which offers ” alternate back to top button styles & animations”. The ACME Divi Modules plugin is a free plugin from Mirko Bianco which ” adds some free extra modules and hacks to Elegant Themes Divi Builde”. The Divi Extended Columns plugin is a free plugin from Sean Barton which allows you to create 5/6/7/8 Column Layouts using the Divi builder. The Divi hamburger menu styles plugin is a free plugin from Elegant Themes which ” adds twenty new hamburger menu styling options to Divi’s Fullscreen and Slide-in Header Formats.”. If you already have Divi installed then you don’t need to use the Divi builder plugin. The Divi Builder plugin is a free plugin (for members) from Elegant Themes which ” is a stand-alone Drag & Drop page builder plugin that works with any WordPress theme.”. If you are looking for Divi plugins then the place to go is the Divi Theme Plugins directory, which is a searchable directory which currently has 122 plugins listed. sorry, my mistake. have removed Bambi blurbs which is a paid plugin from Divi Den.